Recently I watched on as a seven-year-old boy, dressed in an astronaut outfit, asked a real life, now-retired NASA astronaut, how to become an astronaut. I was at a public talk by Charlie Duke and Gerry Griffin on the release of their book, “Mission Control: the Unsung Heroes of Apollo”, fulfilling my own long-held interest in the space industry, fuelled by watching the moon landing in 1969 as a young child, and then working at the Tidbinbilla Space Tracking Station. It may be nearly 50 years since man first landed on the moon, but that era of space exploration, of sending man to walk on the moon and return safely to earth, still excites the imagination of children and adults around the world. Many documentaries and movies, including Apollo 13, highlight the innovation, the challenges, and in some cases the loss and despair of the space race, which took place within the Cold War environment. Individuals, organisations and institutions throughout the world are currently making plans to celebrate the fiftieth anniversary of the first moon landing next year and the ACT is no different. I recently met with a group of ex-Honeysuckle Creek tracking station staff, to talk about their experiences and their hopes for the anniversary. Most of these ex-employees are now in their eighties, so conceivably, this will be the last major anniversary they will celebrate. Nicole Lawder with former Honeysuckle employees. As befits their work in the cutting edge space industry over decades, they are full of excellent ideas and suggestions. Not just to commemorate the anniversary, but to continue to excite the imaginations of children, especially: to aspire, to dream, and to achieve in the space technology arena. Of course, this is bolstered by the recent establishment of the Australian Space Agency. Back in the 80s and 90s we had the Australian Space Office, and for years we had talk about a Cape York launch facility, but it is some time since Australia was a serious player in the space industry. The group of ex-Honeysuckle Creek staff had hoped to be part of celebrations and indeed to shape those celebrations, and ensure that Canberra’s place in the moon landing mission is appropriately recognised, and celebrated. Sadly, they were told to direct their efforts towards submitting a grant application in the heritage portfolio. I felt their claim for special commemorative funding was valid. I didn’t think they needed to rely on a routine grant application process. Ideally, they could have been part of a committee that oversaw commemorative activities, given their subject matter knowledge. Those directly involved in this momentous historic event, could then have allocated funds to a range of projects to commemorate the 50-year anniversary of mankind’s first steps on the moon. 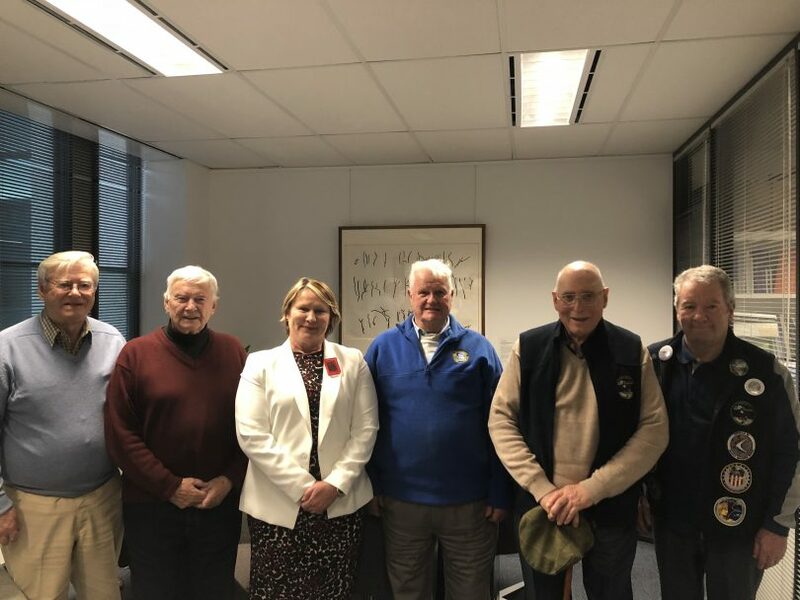 Having played such significant personal roles in getting man to the moon and back in 1969, it seems reasonable that this group should be respected enough to have a role in making plans to honour the event. The group’s suggestions have included an artwork in the city area, where Canberrans would be able to recognise our own city’s place in the moon landing and future generations could be inspired. Their other plans also include significant activities over the anniversary weekend in July 2019, with plans for public talks, movies, an astronaut or two. 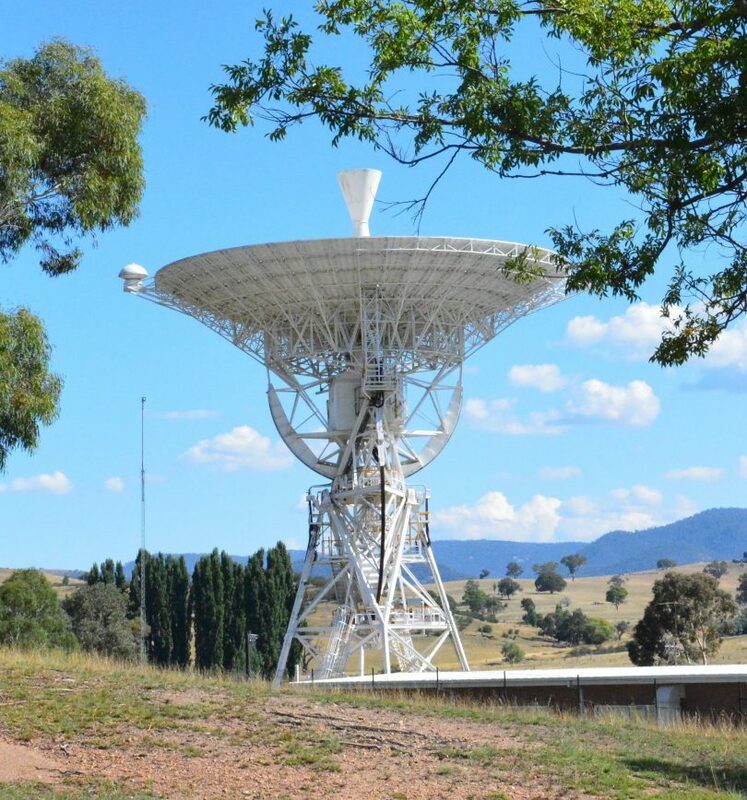 Many of us have watched the iconic Australian movie “The Dish” but it is a story – not fact. Parkes Radio Telescope had indeed been scheduled to broadcast the initial pictures of man walking on the moon, but there were technical issues. So fifty years ago next year, Neil Armstrong’s famous line, “that’s one small step for man, one giant leap for mankind”, and those first grainy images were transmitted through the ACT’s own Honeysuckle Creek Tracking Station and then a suburban telephone exchange in Woden. Not all Canberrans would know that and it is absolutely worth celebrating and commemorating. So bureaucracy raises it’s ugly head again. I remember watching the approach in the Kingston electrical shop, then racing home to watch the actual landing. Also got a shot of the exact moment they lifted off again. I went to Honeysuckle and Orroral in 1990 when the buildings were still standing but had been extensively vandalised. I wrote an article about my experiences and it was published in The Chronicle, January 1994. It's pretty sad that the fellows involved with Honeysuckle Creek at that time are not going to be involved in the celebrations. Who better to consult? Yes, I remember Dad taking us up to Honeysuckle for a Sunday drive on many occasions. I loved the ticker tape printed out by the computers! We took it for granted that Honeysuckle Creek and the Space missions were part of our lives. I remember we had the day off for the Apollo 11 moon landing and Dad rang us from the station and we all took turns listening to Neil Armstrong and the crew talking to mission control. Very special when I think about it now! Aldith Graves , So the Prime Minister lives in Woden? No Deakin is just before Woden. Ken Purbrick: Fran, remember this. Cathy Ransom - this may be of interest to you! I have a photo of launch control for Saturn 5 missions. Honeysuckle is up on the light board.. I really enjoyed the only time I visited the site. Pity there was only the floor left.